This blog is all about the books that I'm reading. Some of them are for authors and publishing companies and some of them are my favorites that I feel compelled to share. If you would like me to review your book, please contact me at the email listed on the blog. 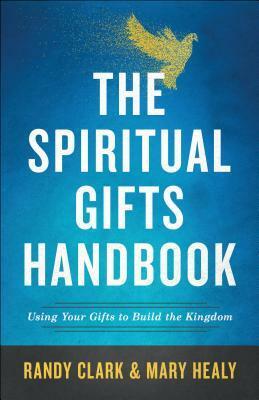 Two authors teamed up to bring an interesting approach tothe gifts of the spirit. Mr. Clark is an international healing minister and Ms. Healy is a Catholic Bible scholar. Each author's voice is heard throughout the book with their vision for what using your spiritual gift looks like. The book was not what I had been hoping for. It definitely leaned in the speaking in tongues, Pentecostal direction. I was hoping for a look at how I could apply the spiritual gifts that I'd been given to my life. But the book felt more like a theology text book that a layman's handbook. I agree that our churches need more of an outpouring of the Holy Spirit and that the spiritual gifts are an absolute necessity in today's work of reaching souls. However, I'm not sure that I agree with a lot of what the authors chose to focus on. It had an almost spiritualistic slant that I found a bit different. Some of the stories were interesting, but overall, I found the book too dry and slightly boring with a touch of condescending. This is definitely not what the other reviewers are saying, so it was clearly just my opinion. So if you want to dig deeper into the Bible and want another person's take on spiritual gits, this might interest you. I received a copy of this book from Chosen. All thoughts expressed are my own.